Beats Music, a new streaming service with financing from Beats Electronics and billionaire Len Blavatnik's Access Industries among other investors, appears headed into deep development stage. The Santa Monica, Calif., company, headed up by Ian Rogers, has put up 13 job postings for engineers and designers based in San Francisco that will help build out the service. The openings appear under a BeatsMusic.com domain name. Jimmy Iovine in February projected a summer debut for Beats Music, but that now seems unlikely as the company continues to refine its look and feel, as well as how it will meaningfully differentiate against rival services, including Spotify, Rhapsody, Muve Music, Slacker, Sony Music Unlimited, Xbox Music and Rdio. "We are Beats Music, the brainchild of music industry visionaries Jimmy Iovine and Trent Reznor. We know music - we obsess over it, and devote our lives to it. We understand music is an experience, not a utility. We realize the heart and inspiration it takes to craft music and cherish the connection between the artist and the listener. Musical taste is complex, evolving, and unique. We believe that hearing the right music at the right time enriches your life. It's why we're here: To deliver musical bliss, and move culture." The jobs themselves are what you would expect of a music service -- a heavy emphasis on data management, recommendations driven by machine learning and editorial content, and a slick user interface that emphasizes simplicity viareductive design principles that gets rid of clutter and reduces interactive elements to a bare minimum. There's also an opening for an "Intuition Engineer" responsible that the service's interface makes sense to the average user. 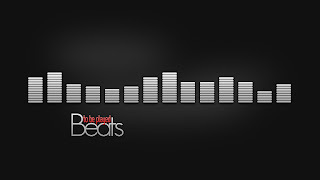 Beats has not issued a new timeline for launching, which could also involve getting a cell phone carrier on board to distribute the music service as a package bundled with voice and data plans. AT&T recently upped the ante with rival carrers when it announced plans to purchase Leap Wireless' Cricket mobile business, which includes Cricket's on-demand subscription Muve music streaming service. Beats and other music services are busy dialing up carriers to make their own distribution deals, believing that such arrangements where music fees are automatically built into monthly cell phone bills, will speed up adoption by mainstream consumers.